As examinations are necessary to reveal and document facts, examination forms feature as an important aspect of the entire seeking and conducting examination procedure. Therefore, the examination forms and templates should be created and documented in such a way that it captures all the necessary and mandatory information of a student or a candidate in simple and clear manner. 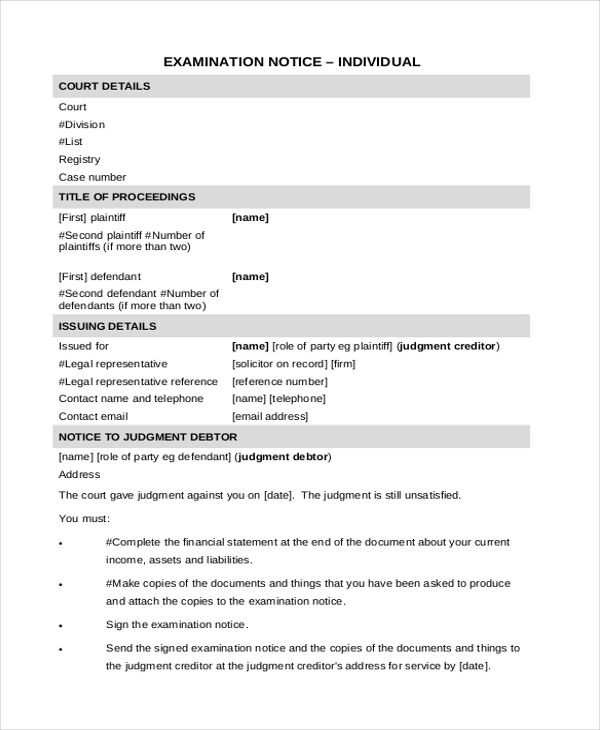 The below forms are great examples to reveal the structure and overall layout of typical and ideal examination forms. 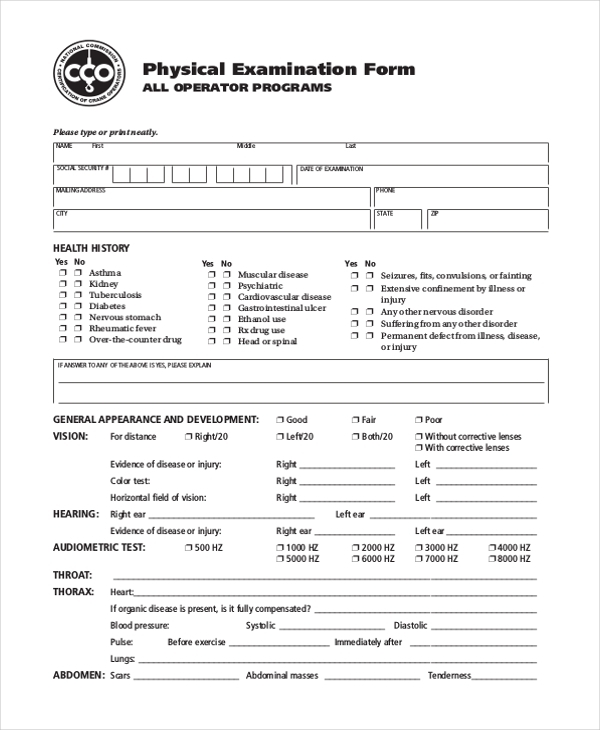 The physical examination form is a health certificate issued upon the completion of the physical examination of a candidate to check his eligibility against a stipulated post which requires optimum health conditions. The Medical Examination form is imperative for attaining immigration especially when one is traveling to countries like New Zealand to prove that he is not carrying any disease which might endanger the public health. 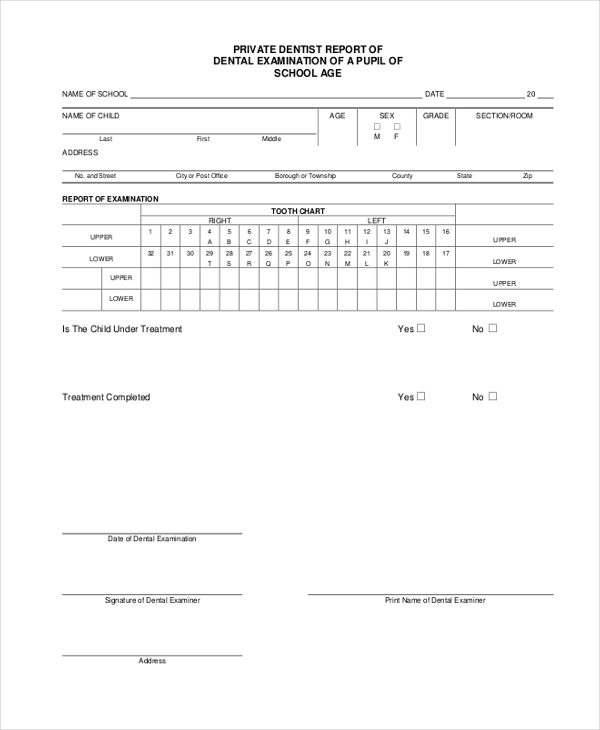 This is a comprehensive dental examination form of a school going student which highlights a detailed tooth chart and clearly enumerates the report of a dental exam and the details of the treatment the child is undergoing. 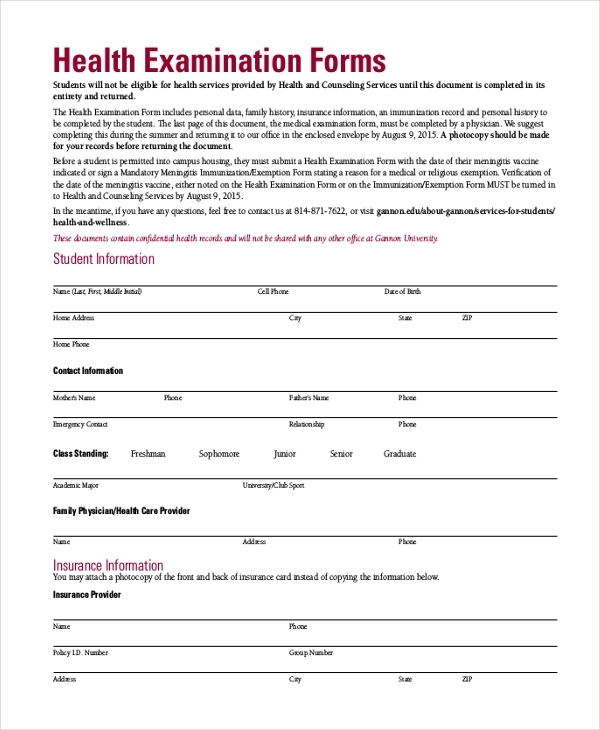 Numerous schools and universities maintain that before a student admitted into the housing campus, they submit a detailed health examination form, such as this, which clearly indicates their vaccination and immunization details. 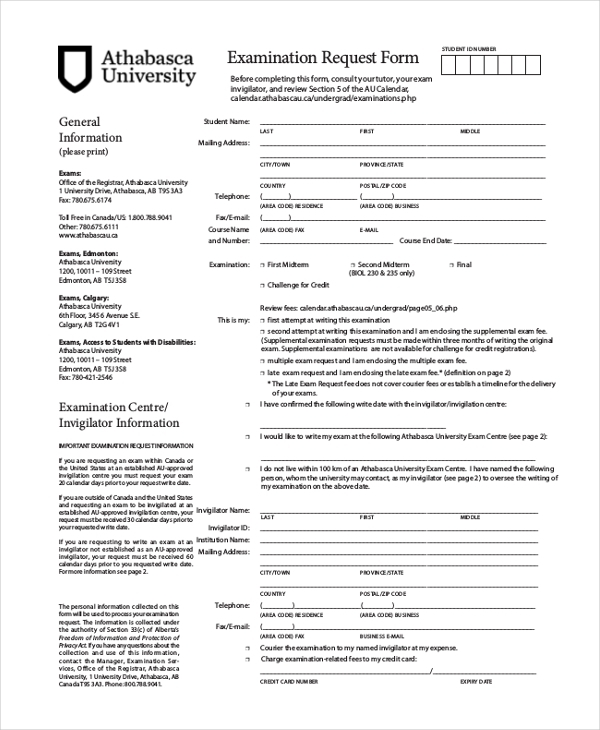 This form is to be used for students who are looking forward appearing for an examination to seek admission in any stipulated course in a university or educational organization. Are you looking for a template to issue an examination notice to the students intimating them about the forthcoming assessments? Look no further – simply customize the examination notice form. 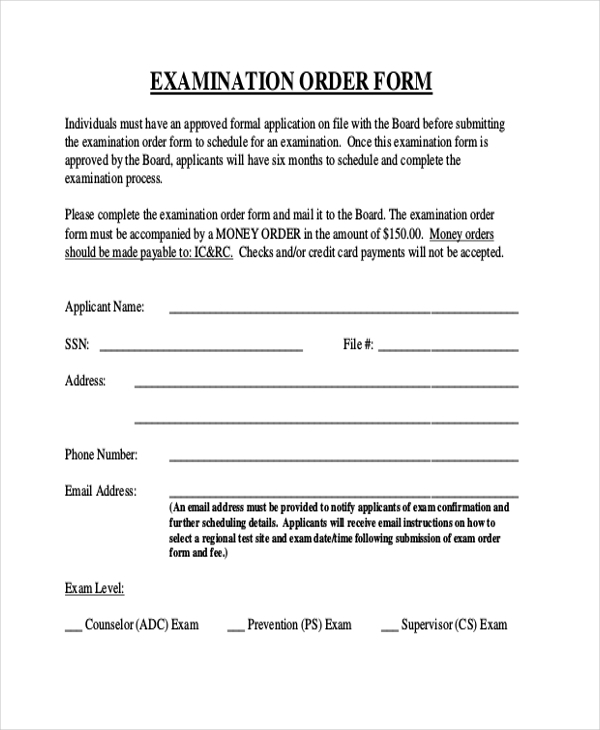 With the examination order form, you can attach the examination approval form application and send in your money order to receive the final approval for appearing in a particular examination. 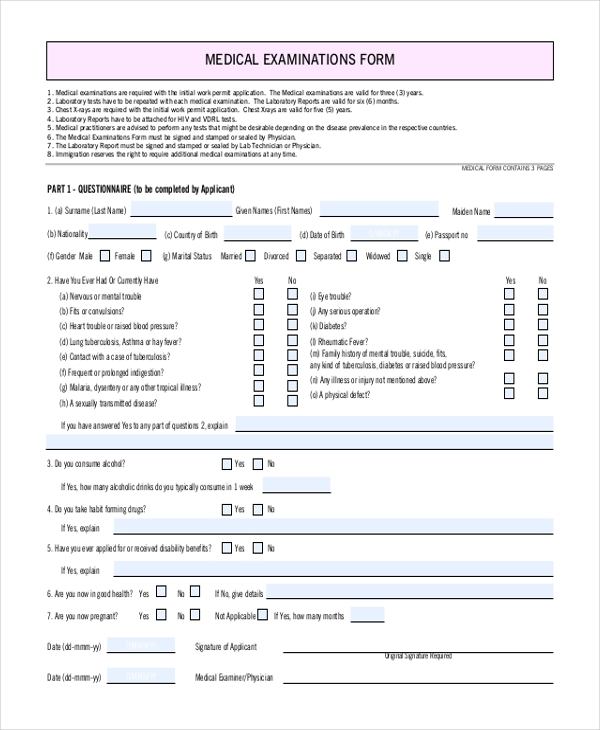 This form can be specifically used to register any examination where the candidate is required to furnish his or her personal and academic information to determine his/her eligibility. The Examination Request form is a detailed document which allows examinees to furnish their personal details to establish their suitability against some specific criteria as stated by the examination authorities. 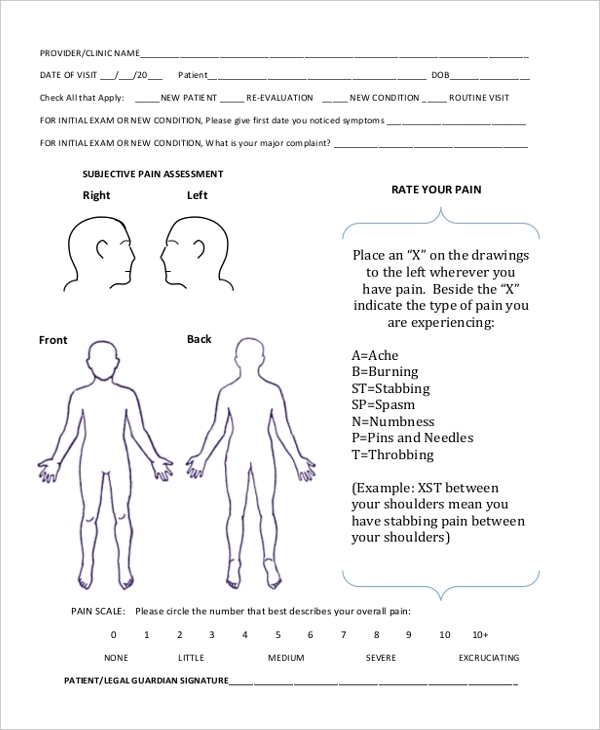 This detailed Chiropractic examination form can be used to fill in the details of a patient diagnosed or treated for neuromuscular disorders and looking forward to a detailed report to ensure a speedy recovery. You can use the Title Examination Form to revisit the public records which affect the title of the real estate you are about to purchase. This is a mandatory procedure to ensure that all prior mortgages are paid in full. How to Use the Examination Forms? Examination forms are to be examined carefully before one should attempt to fill it in. It can be used to file an application for an upcoming competitive exam, to seek admission in a school or university or to prove one’s candidature for a course in any institution. 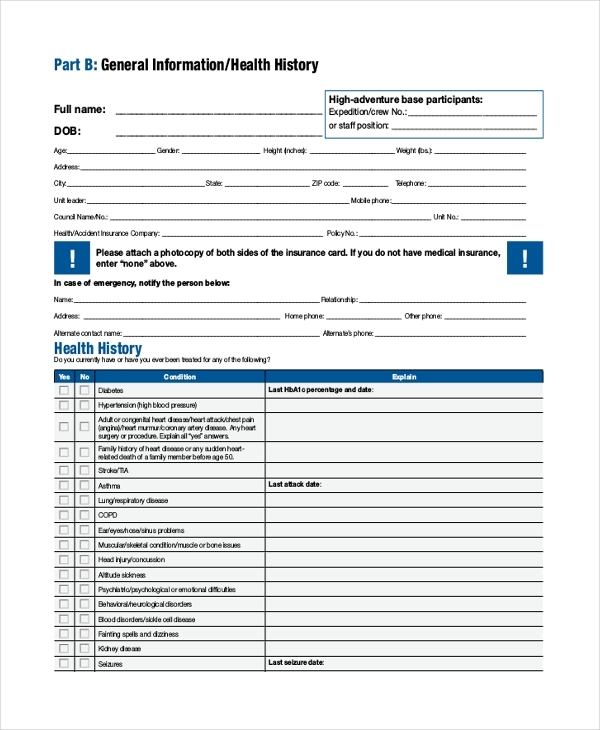 Examination forms provide insights into a person’s personal, academic, professional and medical details. Almost all of us have filled in examination forms at some point in time in our lives. 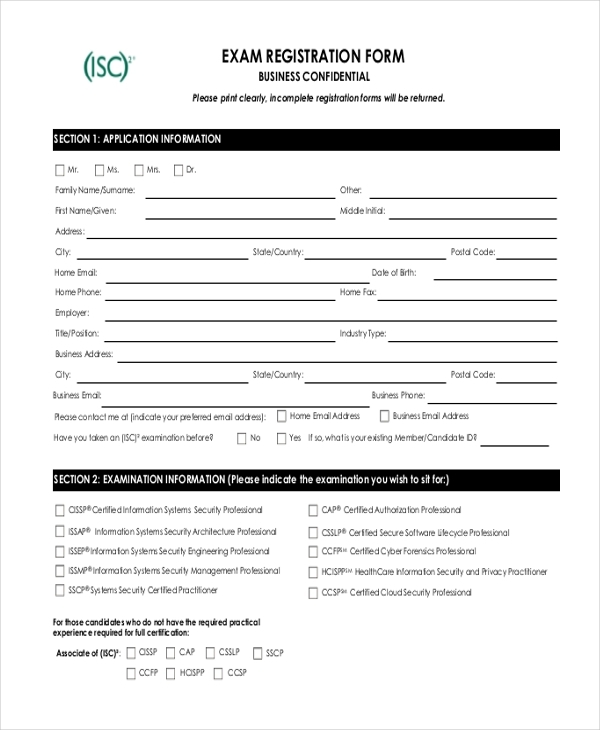 These forms are used to quickly screen out applicants who do not have the skill sets or abilities required to sit for an examination or apply for an educational course. What are the Benefits of Using the Examination Forms? The benefits of examination forms are multifold to the applicant as well as the reviewer. An examination form provides a great place for you to keep track of all your applicant’s personal details, educational background, and professional reference. 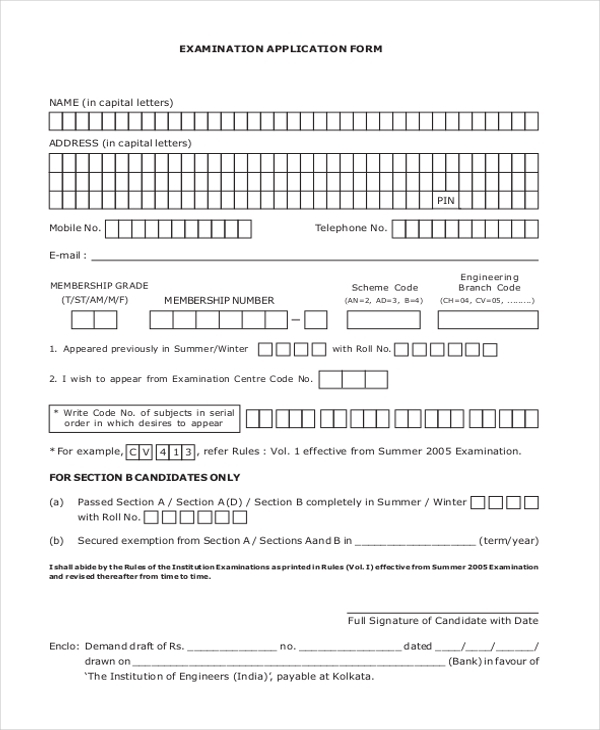 Sometimes examination forms feature as an important source of extracting relevant personal information which might not be present in the free format resume of an applicant or a candidate. It also assists to create an impression with your employer or recruiter. An examination form neatly filled in black or blue ink or typed can strike an everlasting impression in the minds of the reviewer. If you are looking for a professional examination form template document which will assist you in creating a personalized document of your own, look no further. 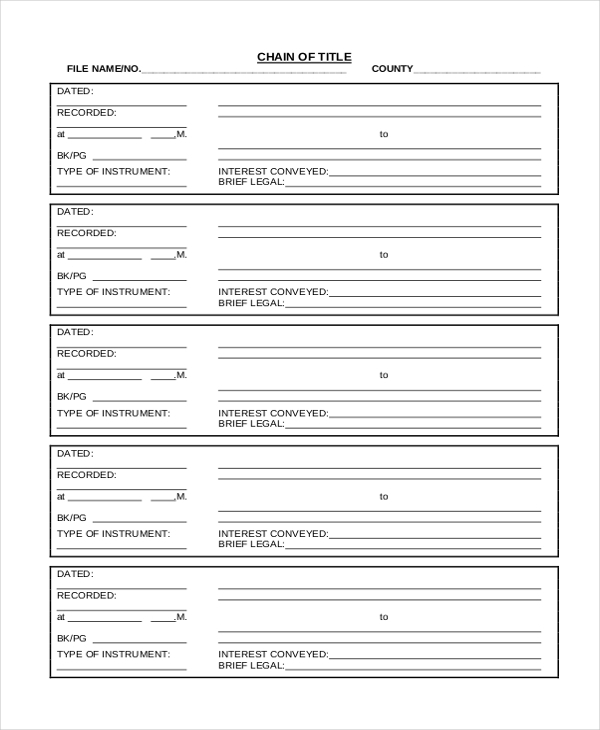 The array of examination form templates at sampleforms.com can assist you in creating such documents in the shortest amount of time and you no longer have to spend time in formulating a template from scratch.